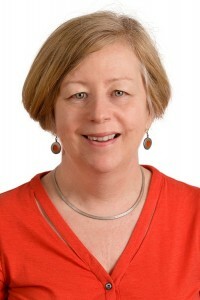 Pam Bourke has over thirty years experience working locally and globally in diverse sectors of community development and engagement as a consultant, manager, educator and trainer. Whether working with government on policy development, for an international company or NGO, Pam focuses on providing innovative solutions with community participation and leadership. The challenges in communities are often complex and require multiple sectors to work together to achieve sustainable outcomes. Pam is noted for her ability to facilitate collaborative working relationships between communities, government and business for mutual benefit. Pam offers a client-centred approach and works in an innovative way to build and develop existing organisational and / or community strengths and capacity. Her work focuses on transforming social disadvantage through community development, social policy and organisational transformation. Pam puts those values into action through her work and as an Industry Fellow with the Centre for Social Responsibility in Mining at the University of Queensland and a Director of Catalyst Affordable Housing Company in Queensland. Pam has worked with communities and a range of stakeholders to build participatory approaches in building community capacity and sustainability. Pam uses a variety of social planning frameworks and methods to ensure that social issues and community infrastructure requirements are integrated into development and planning. Pam has detailed experience in training and advising the resource sector internationally on how to build effective community relations. Pam offers innovative responses to housing stress and homelessness including the development and management of housing companies, housing policy and responses to public homelessness. Pam has helped organisations become more effective and responsive to their clients, staff and communities. Pam has consulted with national and international companies implementing strategy for organisational change, assisting with project development and planning, and designing and implementing community engagement and training. Pam has worked with community organisations and NGO’s and can help support your group with facilitation, training, operational strategy and partnerships. Pam has worked with all levels of government with research and strategy as well policy development and planning, and the facilitation of community engagement. Copyright © 2019 Pam Bourke Consulting. All Rights Reserved.